Portland, OR-- Call it a little “February” Madness, but with the Wizard Portland Comic Con approaching like a full court press, the area's leading pop culture show isn’t letting any lead up time idle, tapping slam dunk artist Michael Golden (“Fantastic Four,” “Deadpool”) as the shooter creating an amazing art piece featuring five of the Portland Trail Blazers most recognizable players. This combination of the all star talent turned into a great promotion for both Wizard and the Trail Blazers, with 20,000 copies of the Golden poster printed and given to all attendees of the Miami Heat vs. Portland Trail Blazers game Thursday 1/8/15! 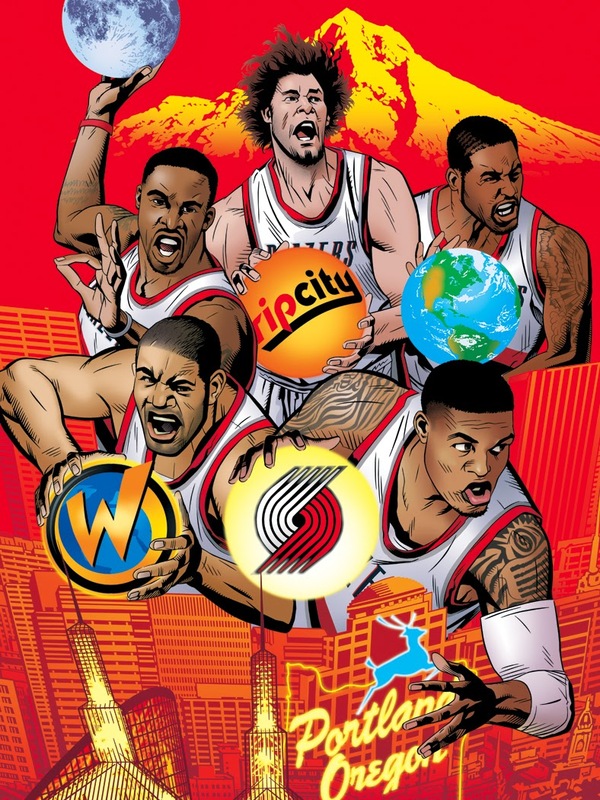 The five players dominating the Portland skyline on the print are: Holding the W-Nicolas Batum; Holding the moon-Wesley Matthews; Holding Rip City- Robin Lopez; Holding the Earth- LaMarcus Aldridge; Holding Trail Blazers-Damian Lillard. It was all part of Comic Con Night at the Trail Blazers game, as professional cosplayers were roaming the stands and cheering the Trail Blazers on with the fans, as they went on to beat the Heat 99-83. But the shot clock hasn’t timed out on the fun! 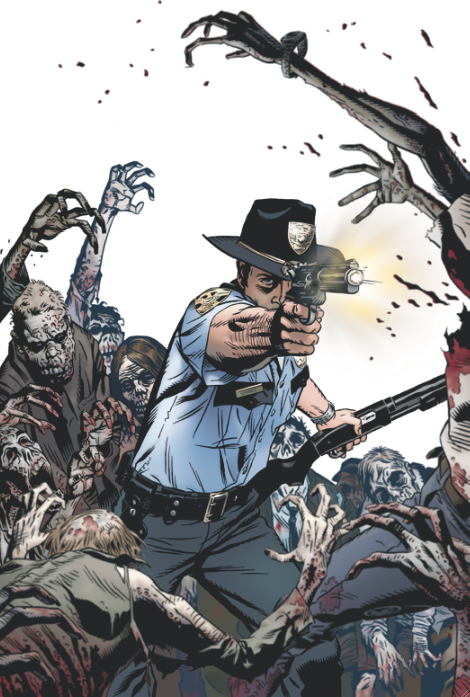 "Wallking Dead" cover by Golden. Along with the artist of this exclusive piece, Michael Golden— who will be at the Wizard Portland show to sign the poster for those 20K fans who received one—all those attending Wizard Portland Comic Con can meet a variety of amazing talent, including Punisher artist Mike Zeck, wrtier /editor Renee Witterstaetter (of “She-Hulk” and “Guardians of the Galaxy” comics), actors such as Stephen Amell from “Arrow,” Bruce Campbell from “Evil Dead,” and a number of “The Walking Dead” cast members including Michael Rooker (also in the film, “Guardians of the Galaxy”). In addition, fans can also meet some of the Trail Blazers at Wizard World Comic Con Portland. And again, get those posters signed! Now that’s a scoring opportunity! 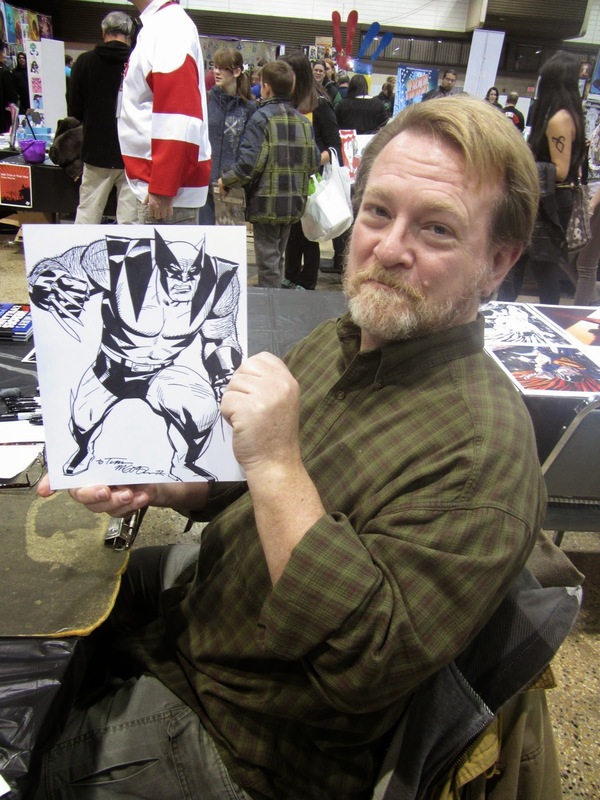 And for more details on Michael Golden and Mike Zeck, contact evaink@aol.com.